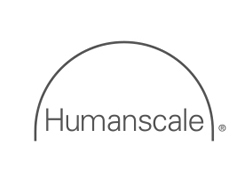 Humanscale is the premier designer and manufacturer of ergonomic products that improve health and comfort at work. Award-winning office solutions – including self adjusting seating, sit/stand desks, monitor arms and task lighting – inspire movement and support the user in their every posture. Humanscale’s Design Studio, based in New York City, abides by the philosophy that good design achieves more with less. They regularly partner with esteemed industrial designers and are known for a history of collaboration with the iconic designer Niels Diffrient. Humanscale innovations have been honoured with more than 200 prestigious awards since 2007 and featured in various museums, such as the Museum of Modern Art. Sustainability of both design and materials is at the heart of the Humanscale philosophy. Humanscales ergonomic range of office tools is vast from Task chairs to LED Lighting. Its most popular ranges include: Chairs/Stools | Monitor Arms | Sit/Stand Solutions | Lighting | Keyboard Systems | Cable Management.